You may know Luxor, Aswan and the famous Egyptian temples and tombs lying on the banks of the River Nile in this area between these well known cities but there is an entire age of history and art of ancient Egypt has been flourished and ended in Al Minya. Our qualified Egyptologist guide will take you from your hotel early in the morning and travel about 4 hours to uncover the historic attractions in this city. You will visit the great plain of Akhenaton where he headed for the divine inspiration to establish his city. 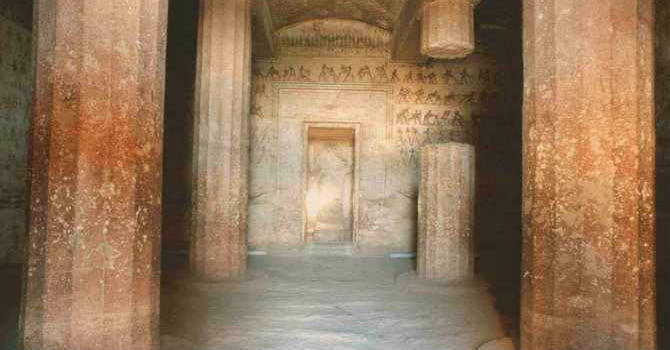 Continue to the Royal tomb of Akhenaton, wander some of Beni Hassan famous tombs of devoted to Bakhet III, Khnumhotep & Khety who were famous high officials and governors of the Akhenaton city during the eleventh and twelfth dynasties. The tour ends in your hotel in Cairo after 4 driving hours from Al Minya.